How well do you know the individuals in your team? A successful manager takes the time to identify the strengths, skills and interests of team members, and then align them with long-term business goals. Business advisor Tricia Cunningham explains why knowing the individual yields positive results for managers, team members and the company. Tricia, what advice do you have for managers on how to motivate a team? Teams are made up of individuals. Each person has different drivers, different motivators. A great manager recognises this and works at determining what motivates each person; is it the opportunity to acquire new skills? Is it having the scope to do the existing job their way without interference? Is it the prospect of advancing a career within the organisation? Is it being allowed to take on new projects that are exciting and different? Many managers make the mistake of believing that what motivates an employee is out of their scope of influence as they believe that job security, increased wages or promotion are all that employees are really interested in. This misguided belief hampers a manager’s ability to motivate employees. It basically operates from the perspective “there is nothing I can really do to motivate my team members”. So money is a poor motivator? Money is a motivating factor only up to the point where an individual’s expectations are met. In other words, if I am hired for a role, we agree a salary. My expectations are set; I expect to receive that salary each month. You can’t turn around to an employee 6 months or a year later and say ‘come on, let’s have a really good day today because you are getting paid’ and expect the person to be highly motivated. If you believe that the only way to motivate your team members is to increase salaries you may not get a corresponding increase in productivity. So what really motivates individuals? Studies have shown that employees are motivated by factors that don’t cost an organisation financially but cost a manager in terms of time and attention. Employees value being appreciated, being considered and knowing they are working for someone who considers them and their needs. When that happens an employee feels a part of the organisation and is more likely to want to do their best. Their engagement with the organisation is high. When an employee feels that nobody really cares about them (although they put their best effort into work and spend more time at work than anywhere else) their motivation and productivity drops. They become disengaged and withdraw, psychologically, from the organisation. What structure would you recommend for SMEs trying to motivate and manage teams? It’s important that managers have the scope and opportunity to meet with employees one-to-one to understand their needs and what motivates them. It is unrealistic to expect that to happen if a manager has an excessive number of employees on their team. Smaller teams are often more effective than larger ones with fewer managers or supervisors. Smaller sized teams facilitate one-to-one meetings and opportunities for a manager to observe how an employee performs. What can a great manager do when an employee lacks motivation? The starting point is having a conversation with the employee. Ask the employee about their job: what do they like about their job? What are they finding challenging about it right now? What’s getting in the way of them being able to do their job brilliantly? This conversation may raise difficulties for the manager but it’s better to know what the issues are and try and address them than ignore them and pretend they don’t exist. Knowledge is power. Once the manager has this information they can determine, with the input from the employee, approaches to address the issues raised. This in turn should raise an employee’s motivation and productivity. Tricia Cunningham is co-founder and senior partner at LEAP. 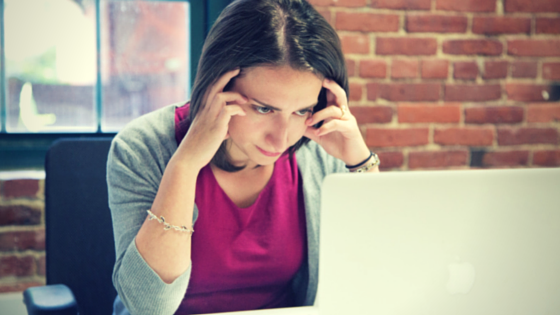 Money is not always the motivating factor that drives people in the workplace. Many people are motivated by other things such as praise, training and development opportunities, and taking on different responsibilities. Managers need to understand that offering financial incentives is not always the right way to motivate team members. On the contrary, sometimes financial reward systems create the wrong kind of company culture. In part 1 of this blog LEAP’s business advisor Tricia Cunningham explains the benefits of creating a merit-based culture where individuals are motivated by more than just money. Tricia, how can managers keep team members motivated without financial incentives? 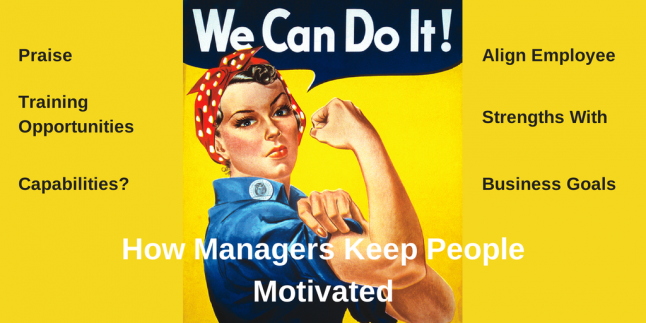 Managers face a difficult task in trying to keep teams motivated. It often feels like there is little they can do to motivate people. There’s a belief that staff only want more money – everything comes back to financial reward. Particularly in organisations where there are middle managers who have authority over financial rewards. But even leaders in organisations, given the times we have experienced, are probably not in a position now where they can randomly grant increases. 1. Do you know the individual? Do you know what they like to do? 2. Do you know what their strengths are, what they’re good at, what they’re capable of doing? 3. Have you aligned their strengths to the results they need to achieve, or the requirements of the business? When you align an employee’s strengths with the business goals and requirements, you’re more likely to have a motivated employee working on your team. Increasing somebody’s application of strengths by 5, 10 or 15 per cent will allow them to enjoy their job more than they currently are. The results will benefit the organisation and the individual. That’s a motivating mechanism within the manager’s control. So think about the individual, their capabilities, their strengths and think about the results; align them and you will have the individual working towards a common goal that benefits themselves and others. Follow up with employees. Offer them praise when warranted. Remember “thank-you” and “well done” are important to individuals and motivate employees. Discuss obstacles they are encountering and work with them to remove those obstacles. Actively work to involving the employee further in the business. These activities will help you motivate your employees further. They are within your control and require no additional financial investment. They simply require an investment of your time, focus and energy. Building a high performing team is no easy task, but having a good understanding of the basic elements of performance management is an excellent start. Whether it’s defining roles or determining how teams make decisions, creating a sense of interdependency is crucial for effective team performance. As Tricia Cunningham points out, it’s not essential that every individual has to be a star performer, but it is essential that the team as a unit is high performing. To build that high performing team Tricia recommends you focus on 3 core activities. ‘There’s a challenge in any organisation to get a team performing at a high level as quickly as possible. This doesn’t mean that each individual has to be a high performer; it’s more about how they function collectively as a team. No organisation has its people working individually; there is always crossover between functions or teams. ‘The third characteristic of a high performing team is strong motivation. When people are motivated productivity is increased. This means that managers need to clearly understand (a) what motivates each individual person within the team and (b) try to find ways to tap into that. Many managers feel that kind of influence is beyond their ability because they believe it’s all about money, job security or rungs on a ladder. They believe a manager is limited in what they can do, limited in their ability to influence those three areas. But in actual fact for most team members it’s the smaller things that are more important on a day-to-day basis. Very often it can be the praise and thanks they receive; it can be the sense that they are valued by the organisation. It can be that the organisation respects what the person does, and values their work and their contributions. When those elements are tapped into, they act as more enduring motivational factors for individuals. So a manager needs to understand what motivates each individual and then look at the wider picture; what motivates the overall team. By identifying what motivates the overall team it provides opportunities for finding projects or opportunities within the business on which they can work. These are opportunities for the managers to get the team rallied behind something. When you have a team that is highly motivated, that communicates well and each person is taking responsibility for their actions, you have a strong high performing team. In the business world, managing directors face a variety of challenges when trying to develop their companies into successful and profitable enterprises. As business leaders they need to arm themselves with a set of skills and traits that will allow them to maximize their own potential and the potential of their staff, and thereby maximize profits. But how do successful business leaders get investors, employees and consumers to trust their vision and ideas? The answer is through effective leadership and at the heart of that lies the concept of personal development. 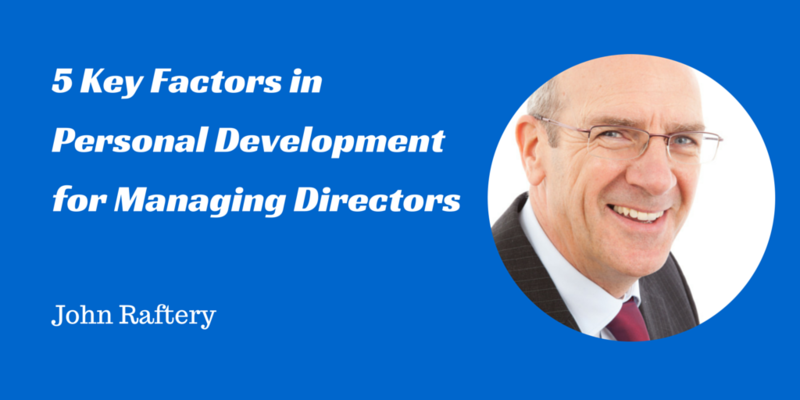 There are no magic formulas for success but as LEAP’s John Raftery explains, there are 5 key factors in personal development for managing directors that can influence your company’s bottom line. Tricia Cunningham has designed many management training courses over the past 12 years, including programmes for new managers. Working across a variety of business sectors, she has gained many insights into the challenges that emerging managers face when trying to build high performance work teams. 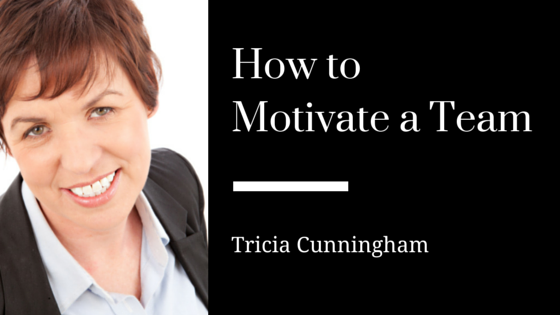 Here Tricia discusses motivation and how to motivate teams, a common problem for new managers. Q. Tricia, what is the most common problem that new managers face? The most common problem is motivating team members. Often managers complain that ‘I can’t motivate a person.’ They feel that everything is out of their hands in terms of the factors that motivate people. For example they think I can’t increase their pay, I can’t promote them up the career ladder, there are no promotions going. So managers feel like they have no leverage to motivate an individual. In LEAP’s programmes we look at the real factors that motivate individuals. We try to get managers to look at each individual team member and determine what the manager can do to motivate that person. The factors that motivate an individual are usually within the control of the manager, but the manager doesn’t always see that. Factors such as having interesting work to do and playing to strengths are very powerful and need to be used to better effect by managers. Managers need to find ways for employees to play to their strengths within the defined role. 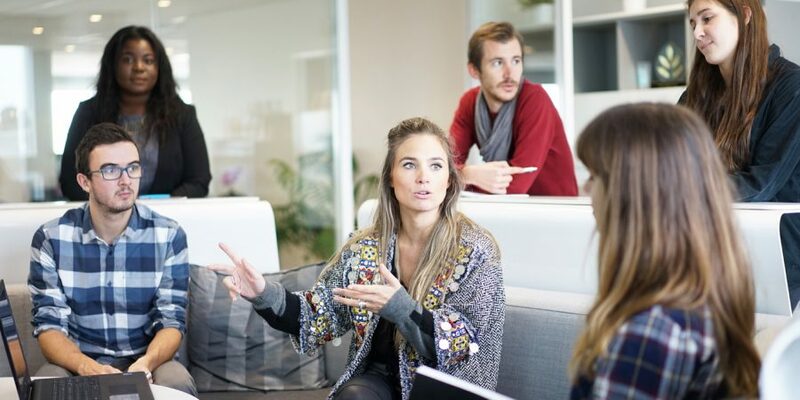 Another factor that’s within the manager’s control is employees feeling they are involved in things and understanding what’s going on in the organisation. When the employee understands that this is the direction we’re going in, this is what’s happening, this is why my role is important, they are more concerned about the business and its success. When managers start looking at it this way they start to see that actually there is something they can do about motivation. It isn’t always down to money or steps on a hierarchical ladder that needs to be climbed. Q. How effective is this approach with new managers? It’s very effective because you’re getting managers to see things differently, and that’s what a manager’s job is; to constantly look at a situation or problem from a different perspective and come up with a workable solution. They are at least beginning to think more constructively and positively. Q. There are some tasks that people don’t want to do. Is it difficult to get an entire team motivated by playing to each of their strengths, and at the same time making sure that all tasks get done? Of course. People are realistic. If 80 of my job is made up of tasks I really love doing and 20 are tasks I don’t like doing, then I’m probably very happy in my job. We try as much as possible to get employees to play to their strengths so they will enjoy what they’re doing, so the other tasks that they have to do, they don’t mind doing them as much. It’s when the balance is incorrect, where nobody gets to play to their strengths, where 80 of the job are things they don’t like, and only 20 are tasks they like, well then they start to hate their job. It’s not about changing everyone’s role in the team. You don’t have the scope for that. It’s about the manager stepping back and figuring out what the person likes and what their strengths are, is there scope within the role, and within the organisation, to get them playing more to their strengths? When the employee says ‘yeah this suits me better, I like this.’ Then they are motivated.